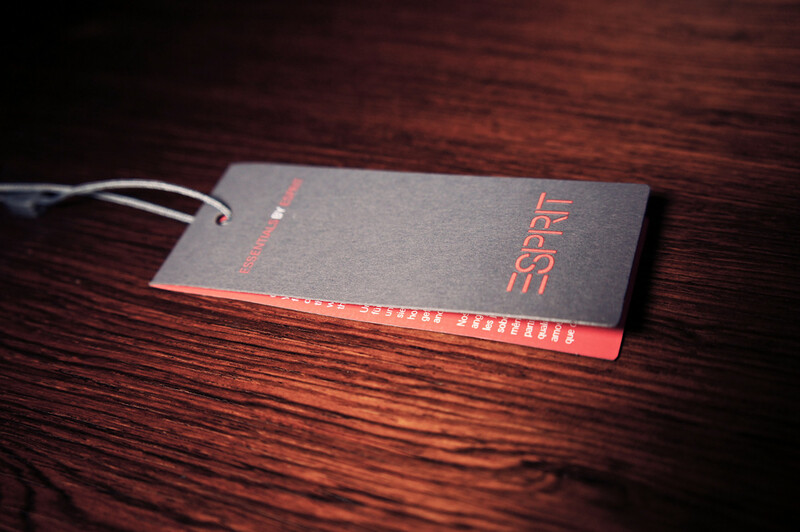 Hi, many fashion companies put a lot of love into the design of their price tags, after all the price tag gives you important information such as the size and price of the item (SKU) and also conveys the brand image. 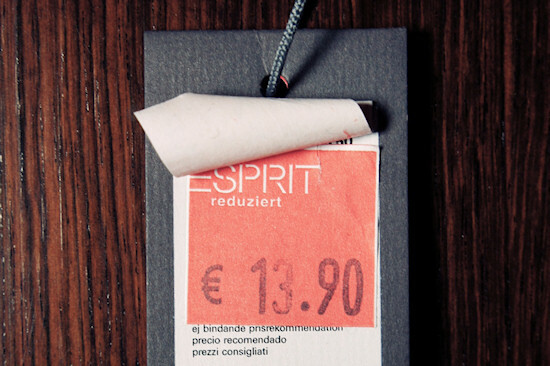 Recently, I bought a basic Esprit T-Shirt that had this simple but elegant cardboard price tag attached to it. 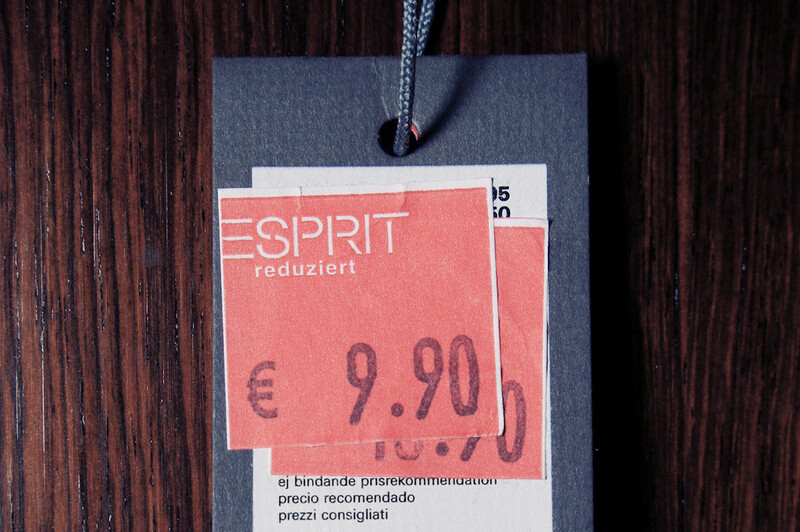 The sticker says EUR 9.90, what was the price before that? Well, EUR 13.90 was the price after the first reduction, but what was the original price? 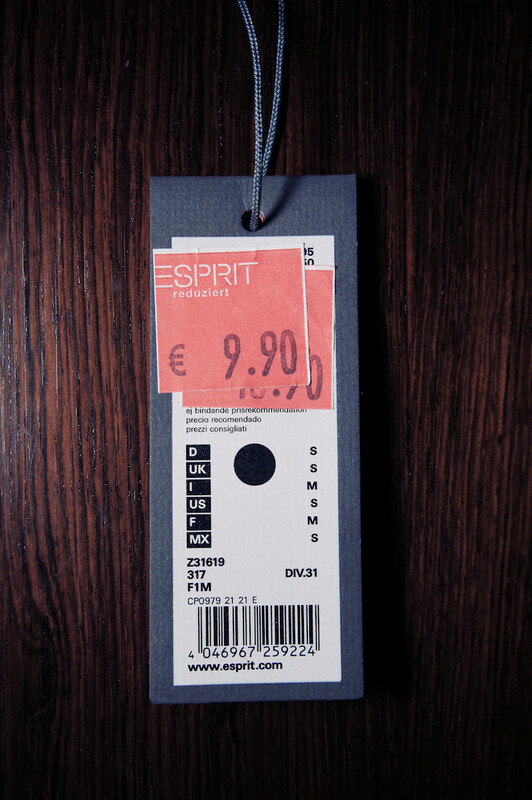 Voilà, here we have it: the original price of that tee was EUR 19.95! Please also note how small the price is printed in comparison to the red price stickers. So finally we have a reduction of about 50%. 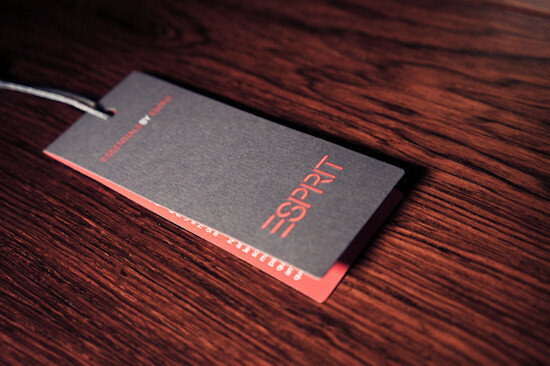 Should I have waited longer for another reduction or do you think this was already the lowest price Esprit would sell it for? If you happen to study business administration (German Betriebswirtschaftslehre or BWL), you probably already noticed the underlying pricing problem, how to price fast selling items during clearance sales? Have a luck on the Swiss price? Thanks for the link tipps! Very interesting topic! 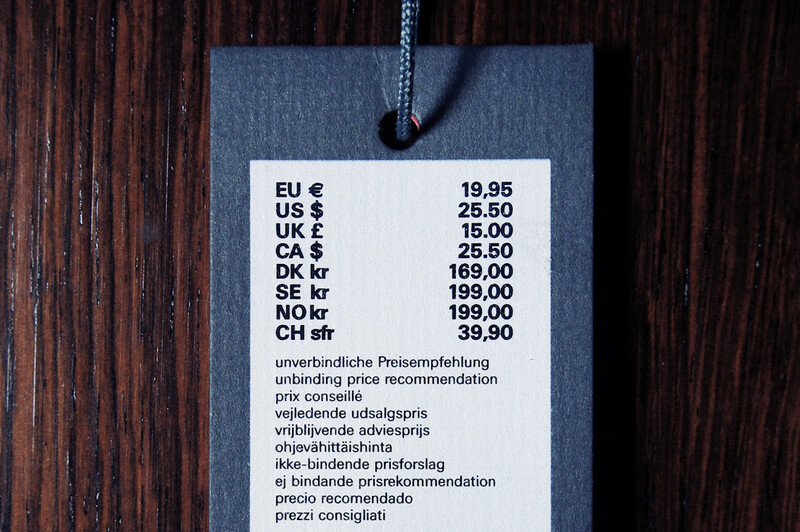 "Price points", or in English "price".